Yesterday I had a catastrophic failure in my drivetrain which blew a hole in the top of the Swingarm casing and caused the entire final drive and wheel to twist a good 10-15° clockwise. The strut was presumably the only thing that stopped the whole assembly from folding over completely. 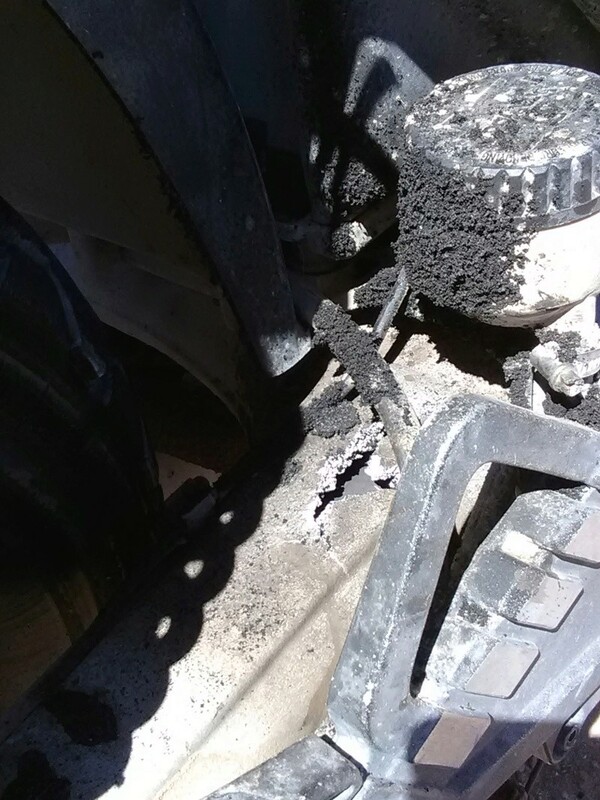 I was going ~85 mph, when I began to notice a quickly worsening vibration, and found my rear end engulfed in smoke when I pulled over. Pictures are certain to follow. But oh what a story it will make someday. 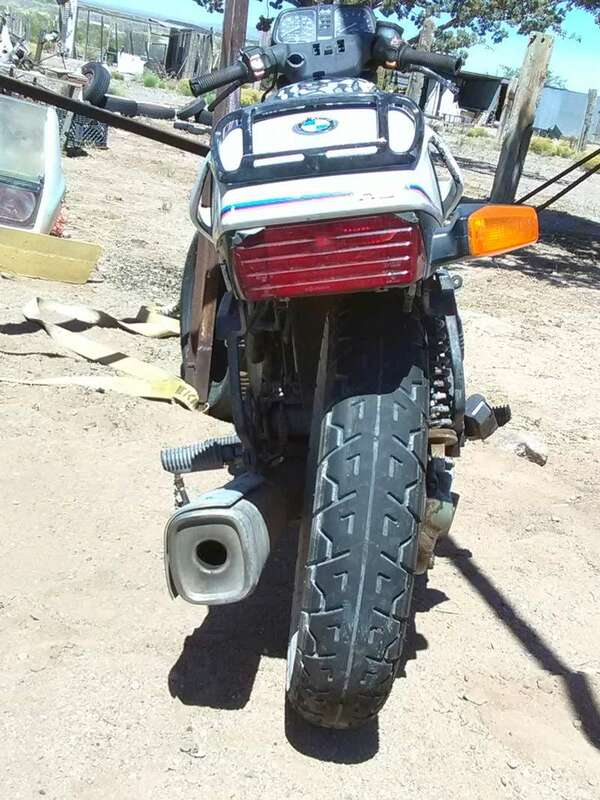 Those swingarms are pretty rugged, but have their limits to what they can take. I got rear-ended by a car last fall, broke the final drive off the Paralever swingarm. Like you, the shock was the only thing that kept the rear wheel with the bike, not that I needed it while tumbling down the median. 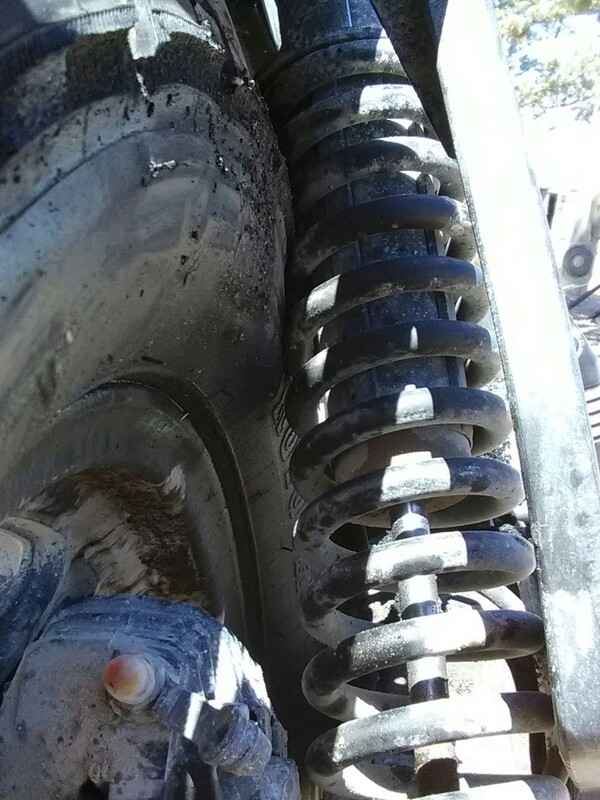 I know of several paralever U-joints 'splodin but I've never heard of a swing arm failing. Holy cow! Never seen anything like that aside from Ks that have been impacted by cars and it's understandable why a swing arm might fail due to impact but to have one just fail of its own accord is a whole different story. What's all of that black stuff on the brake reservoir? Bits of tire? Yes, you can see where the sidewall was melting against the shock. I managed to get it in the shop and am working on disassembling it all now. I'm suspecting the driveshaft failed due to unlubed splines on the transmission side. Needless to say I am fervently searching for a suitable parts bike! I think it's more likely that the U-joint blew up. Which is pretty rare on the 2V Ks. 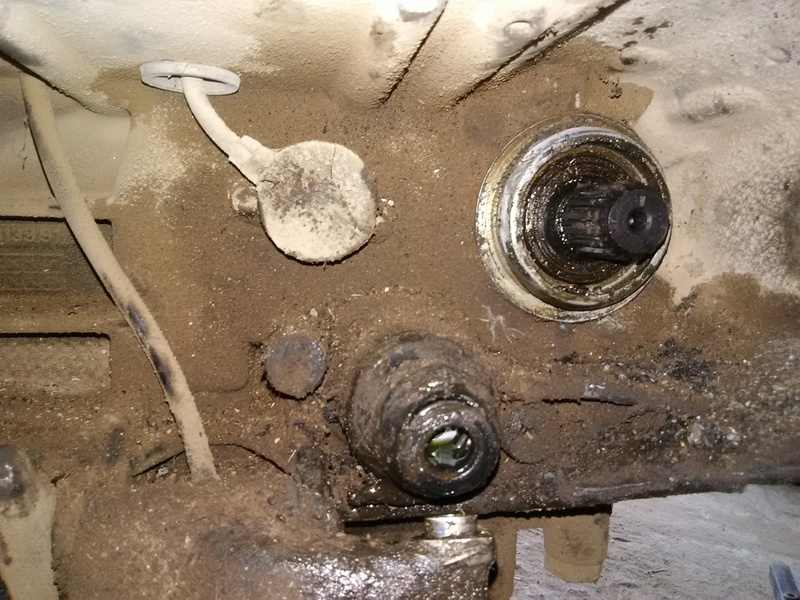 The U-joint is sealed so there's no real preventative maintenance that can prevent that. But when it's removed for other maintenance it's a good idea to rotate it on both axes to see if any lumpiness is present. If splines fail they just strip and spin. And the rear drive shaft splines are where spline wear usually occurs, not the front. This of course assumes that whoever was in there last put things back together properly. The front drive shaft splines have a clip in them and if the last person in there didn't get the front of the shaft all of the way on then I have no idea what havoc that might wreak. I'm with Duck on this more than likely "U" joint. If the front splines had stripped noise and lack of drive would be the result. It is not a big job to lube the front shaft splines and check the "U" joint while you are doing the rear spline lube. Seen a few do that but never damage the swing arm. When a U joint lets go it is usually explosive. 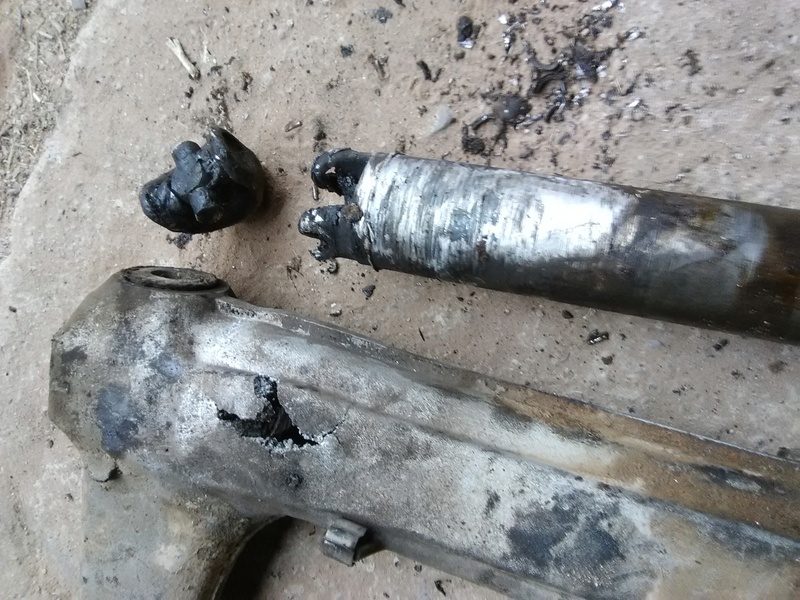 So yes, having seen the destruction that an exploding cardan joint can do to a steel housing, I'm not surprised that the UJ almost managed to exit via the top of the swingarm casting. I'm very grateful for all the tips, and now i have renewed hope I can salvage at least the gearbox from this mess. The final drive had been dripping a little oil for some time now so I'll probably try to swap that out with another unit. I'd guess that you're correct that the transmission probably survived. If the output shaft spins normally and the seal on it isn't leaking then you're probably good to go. Please post pictures of the internal carnage when you get the swing arm off. What caused the wheel to lean over and rub on the swingarm? Did the swingarm casting break away from the final drive? Negative, the casing twisted once the structural integrity was compromised. 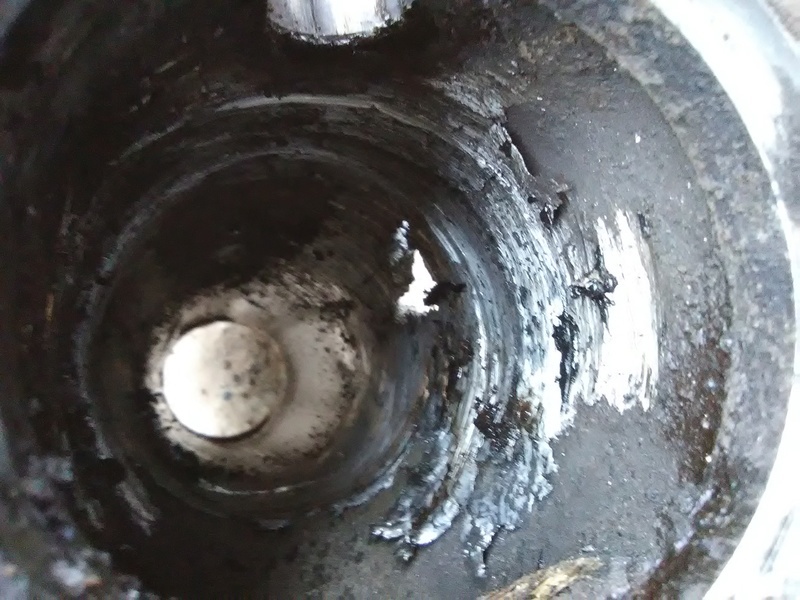 This was probably due more to the heat buildup from u-joint fragments riding between the driveshaft and casing than than from the hole itself. Speed was definitely a major factor. I am not at all surprised at that swing arm twisting, it sure took a beating. I have seen one twisted in a crash that wasn't all that bad, bike came down sideways and twisted it about 3° but the wheel was left straight.